Tragic Media is a technology company based in San Diego, focused on building and supporting complex custom digital properties. We are a talented and seasoned team, focused on expertly crafted digital experiences built on enterprise, open source technologies. Each member of the team brings a unique set of skills and years of experience. 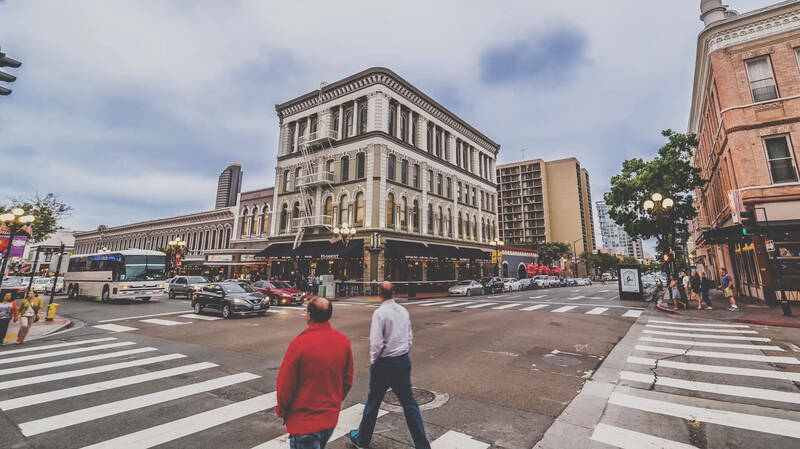 We work collaboratively out of our small office in the Gaslamp District, ensuring each project we tackle is built to the highest standards with attention to budget and timeline. We don't cut corners by using poorly constructed 'pre-built' solutions, junior resources, or outsourcing overseas. We take pride in our work, and help our clients get the most value from their digital investments through our iterative project build approach and growth-driven maintenance. We work hard to feel like an "in-house team" for our clients, providing our years of expertise to everyone from startups to global brands alike. Tragic Media was founded in 2009 by Rich Rudzinski after leaving his job at a large national agency in San Diego. Rich saw the backwards infrastructure, high cost, and sub-par client services of traditional agencies. He knew costs were bloated because of high salaries for upper management, fueled only by the sales cycle, and supported by low level employees or offshore resources. These agencies were built as soulless sales machines aimed to make the most profits for their C-level members, with little regard for employees or clients. Instead, Rich wanted to create a new kind of digital company: small, agile, and stacked with passionate, and experienced team members. He wanted his company to be focused on technology to support and grow his clients digital infrastructures. He wanted his company to build "large agency" quality products with "boutique agency" client services, and he wanted Tragic's rates to be reasonable, and scalable to help companies of all sizes transform their digital presence and grow online. Over the last 8 years, Rich has built a team of expert developers, designers, and product/project managers- all of whom are excited about building beautiful and functional websites for any industry, any size, and any budget. We take pride in producing quality work, and treating our clients like family. Tragic's first big ongoing project was building TaylorMade Golf's marketing emails and managing their Yahoo web store. We won the W3 Awards silver design award for the SportRx responsive redesign that we launched in 2015. Initially, Tragic worked solely as a white-label development service for larger agencies, acting as the 911 call when projects needed immediate expert development that couldn't be handled in-house. In 2013 Tragic had the opportunity to rebuild Pixar.com after a local agency outsourced the project abroad and it came back... less than Pixar ready. Our first "office" was 3 rented desks in the corner of a local Drupal agency. We now occupy the historic San Diego Mayor's office just a half-block down 5th avenue from our first location.